Shhh…can I talk to you? It’s me, Della. And I just have to tell someone. May 20th, my first book, Reborn, is being released in the U.S. Don’t tell CC, but I’m actually getting excited about it. I know, I give her a hard time, but during Reborn, she gave me the hardest time of all. I mean, she put me in some really tight places—and she left it up to me to get out! Of course, CC tells me that it’s not her fault. She blames you. Yeah, she says the fans will only read my book if I’m constantly nose deep in chaos. Now, what’s up with that? Don’t get me wrong, I know that I hate reading about boring, perfect people, too. But I could really use a little slow down. And guys? Don’t even get me started on them! Steve is great, but sometimes he drives me crazy. So we had a great night on our FRU mission, but that doesn’t mean I want to be joined at the hip with him. Yes, he can be really sweet, but then he can turn around and be a jerk. Then there’s this new guy at Shadow Falls Camp, and Burnett tells me I have to work with him. But sometimes I don’t like the way he looks at me, and other times, I like it way too much. What’s a vampire to do? I mean, I know he’s keeping secrets. I can just tell. Can’t you tell when a guy isn’t telling you the whole truth? And this guy, he’s definitely holding back. Claims he wants to get to know me, that he likes me. Right! You all know that I’m not that likeable. Besides, I don’t need anyone else in my life. I’m too busy and I need Burnett to take me seriously as an agent. A relationship would just get in the way. So, I need to keep my distance from ALL guys, but CC keep tossing me together with one of these two very hot guys. It might sound too good to be true to some of you, but I don’t want it. I’m fine on my own. And I’m going straight to CC’s mind and tell her what I think. Well, I will just as soon as I get my head wrapped around exactly what I’m going to say. I don’t want to be there any longer than I have to. Because let me tell you, her mind is a scary, scary place. It makes dealing with ghosts a cakewalk. She’s got thoughts of murder, and some totally spooky settings running around that mind of hers. And she can envision some pretty terrifying stuff. Anyway, today I’m going to take a few questions about CC. I mean, she’s always answering questions about me. So now it’s my turn to dish on her. Now’s your chance, if you have a question about CC, post it, and I’ll answer a few of them of every week. And don’t get too personal. She ain’t gonna let me tell you the really good stuff. Oh, and we’ll give away two posters today. 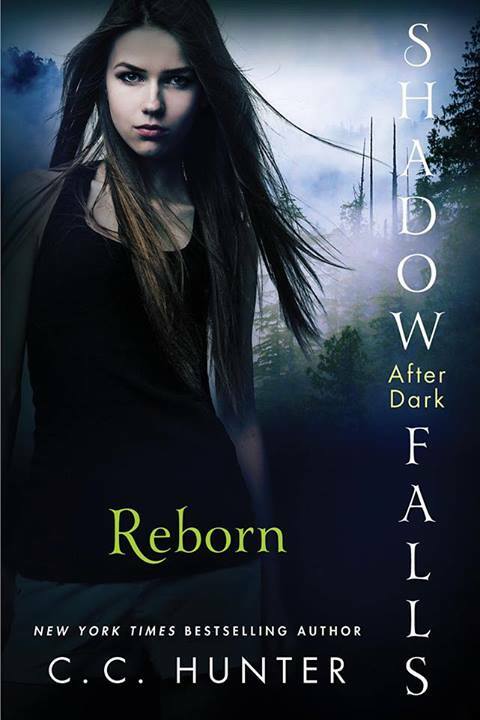 The new Shadow Falls: After Dark poster. We’ll give one away to an international fan and another to a U.S. fan. So make sure you tell me in your post where you live. Last week’s winner of Born at Midnight in Spanish is Gaby. Please email your mailing address to cc@cchunterbooks.com. Congratulations, Gaby! Do you know if I wasn’t a writer, there are two things I might want to do when I grow up? (Yes, I said grow up, because I don’t care how old I am, I don’t feel I’ve completely grown up!) Oddly, these two career choices are completely different. If you are a fan, you might have already figured out one of these things about me. I love to make people laugh. I write characters who make you laugh. Della’s sassy comments make me chuckle when I’m writing. And Perry, his crazy antics are for sure always worth a few good belly laughs. (Remember when he mooned everyone at lunch?) When I get emails from you telling me that I made you laugh, it makes me feel so good. I love making people laugh so much that if I didn’t spend all my time writing, I might try my hand at stand-up comedy. The second career I might have pursued, is not so apparent. You probably wouldn’t even guess it. You see, I love languages. And yes, I do speak a second language. I speak Spanish. No, I’m not Hispanic. But years ago, I lived in Maracaibo, Venezuela and learned to speak the language. I still make a lot of mistakes. And here’s the sad part, I can’t read or write a tenth of what I can speak. Being dyslexic, I am what a lot of people call an oral learner. I learn by listening. So learning a language comes a little easier for me than maybe some people. And if I wasn’t busy playing with my characters, I would love to lots of different languages. You know, in Reborn you’ll learn that Della speaks Mandarin. And while I don’t speak that language, I did go to China for ten days. During that time, I had a translator and she taught me a few words, I could say simple things, like order my food, or ask how someone was doing, or say thank you and excuse me. A lot of the times the translator would laugh because I would say something and the Chinese people would be shocked and start talking to me. They thought I could speak it. And I honestly think if I had stayed there a month or so I could have learned a lot. I think it’s sad that here in the United States so few people speak another language. I’ve read a lot of things about how learning a new language opens up and uses different parts of your brain. Here in Texas, we have a lot of Spanish speaking residents and I get to use my Spanish a lot. I will admit I love surprising people sometimes. I will be in a store and two women will be talking about me, maybe commenting about my shoes or purse. And I will turn to them and tell them where I bought the item. They are always shocked because being blond with green eyes, I don’t look like I speak the language. 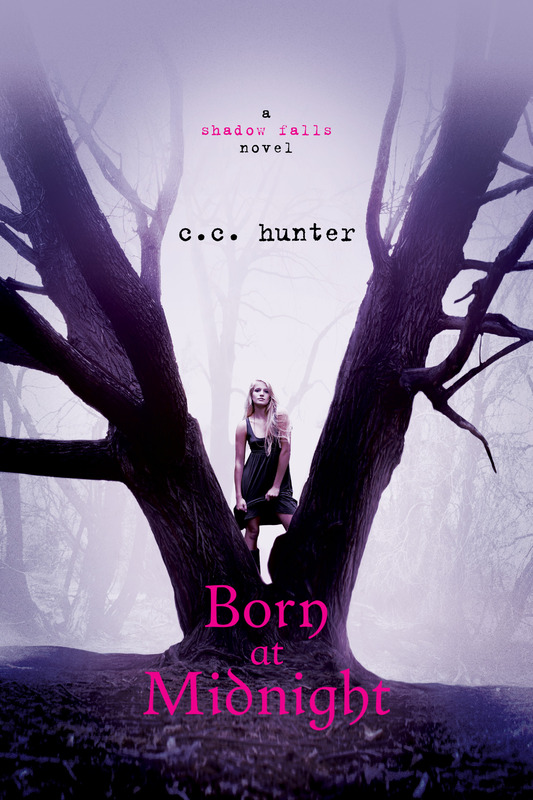 Today, I will give away one copy of Born at Midnight in Spanish. Maybe you have a friend who is Hispanic and reads better in Spanish, or maybe you read better in Spanish. Sorry, due to mailing cost, the winner has to have a U.S. address. Do you guys speak another language? Are you taking one in school? I encourage you to do it. So for now, adios. It’s almost spring. Today it actually feels like it, too. Spring in Texas always brings on thoughts of road trips. 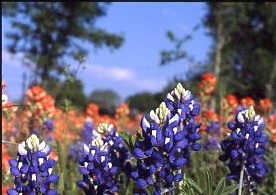 Road trips to see the blue bonnets. I love seeing landscapes of nothing but the purplish blue flowers. It’s amazing how they can cover an entire field for as far as you can see. 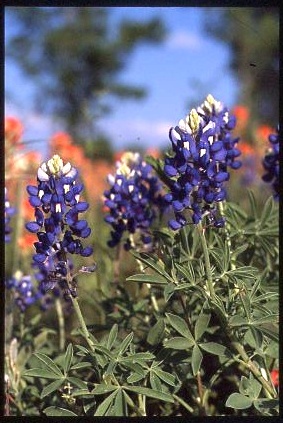 The Texas Hill Country is known for its fields of blue bonnets every spring. Maybe that’s why it’s the Texas state flower. I also just bought myself a ‘spring time’ gift. A new lap top. And why for the spring time? Well, because I’m going to be writing on my front porch swing at my new house. I love it when it the weather is nice and I can sit and let the breeze whisper over me. Something about being outside in the fresh air that allows me to slip into the Shadow Falls world and walk around with Kylie, Della, Miranda and the rest of the campers. As you know, I have sent Reborn off to my publisher. Whew! Again, it will be out May 20, 2014 in the U.S. So right now, I’m working on Della’s second book, Eternal. And I gotta say, I’m loving it. Della is in full on sassy mood and is learning a lot of about growing up, love, friendship and even some heartaches. So, is it your spring break now, too? I know the break is usually later up north. But here, it’s Spring break. Tell me, what are you guys doing? Any fun plans? Today I have a special treat for you. I’ve invited Varsha Bajaj to talk about her new YA novel Abby Spenser Goes to Bollywood. I can’t wait to read it! 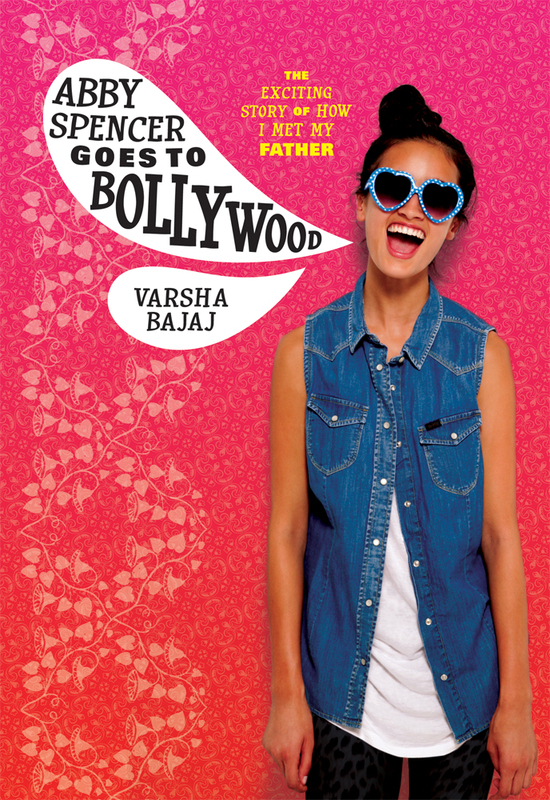 My debut novel, Abby Spencer goes to Bollywood will be released by Albert Whitman and Company on 3/1/2014 and I couldn’t be more excited and nervous. Thank you, Christie, for inviting me to share the story behind the novel with your readers. I wanted to write a book that I would have liked to read when I was twelve. I loved books with a sense of humor which I could connect with emotionally. ASGTB is a fun journey with lots of heart. It is the story of a father-daughter relationship. Abby is a teenager defining her cultural identity. I was watching an interview with Liv Tyler (actress) and she shared that she didn’t know Steven Tyler was her father till she was a pre-teen. It set me thinking. What if a girl discovered that her absent father was a celebrity? Given my immigrant background (born and raised in India), it was natural to take the next step. What if he was a celebrity in another country/culture? The premise intrigued me. A Bollywood star is the epitome of celebrity in India, and I made Abby’s father the equivalent of Brad Pitt in India. It was a happy coincidence that I grew up in Mumbai, on a street, where some of my neighbors were Bollywood directors and stars. In fact, one of my childhood friends starred in a Bollywood movie. My family also hosted International students during my late teen years. I therefore witnessed teenagers from the West navigate cultural differences in India. I have also been seen the reactions of my own American born teenagers to Mumbai and India. Journey stories, like Princess Diaries by Meg Cabot (Harper Collins, 2000) have always drawn me in, maybe because I love to travel. The idea of taking the reader on a fun journey to Mumbai with my protagonist was simultaneously daunting and appealing. From these cumulative experiences, Abby Spencer was born. To learn more about Abby Spencer and her journey visit www.varshabajaj.com. The three winners of the Shadow Falls posters from last week’s giveaway are Nalynn, Hilary Bridge and Allison Dewey. Please email your mailing addresses to cc@cchunterbooks.com. Congratulations!